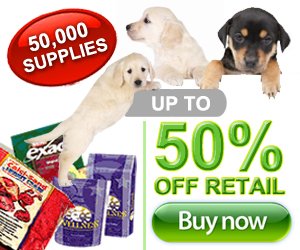 petplanetmagazine.com reserves the right to edit, categorize, revise, or to decline any listing submitted. As it is our intent to uphold the highest standards of accuracy, clarity and legality, we will contact you for clarification of any listing that compromises this intent. petplanetmagazine.com will not be held liable for any damages arising out of errors or omissions. Please note, we do not assume responsibility for the products or services sold or offered. It is responsibility of individuals who posted the listings to reply to your message, and confirm the legitimacy. We are a venue only and do not control the products or services offered to other Users, nor does petplanetmagazine.com control the users of our website. * Each individual member is responsible for their listing and its contents. * We reserve the right to refuse any listing we feel not appropriate. * We will not be held liable for any damages of any kind relating to any listing. * We reserve the right to terminate any listing at any time for any reason, including if we learn that user has provided false or misleading information. * We make no claim or representation regarding, and accept no responsibility for, the quality, content, nature or reliability of web sites accessible by hyperlink from the site, or web sites linking to the site. Registration/Accounts: Registration on petplanetmagazine.com Business Directory is required. Please register only one account. If you have any questions or problems regarding our site, please use our Contact Us page to email us directly. petplanetmagazine.com Business Directory assumes that all activities made using your username/password on our site are authorized by you, and we are not to be held responsible/liable for any loss or damages you incur on your account on our website. Any new account that is left inactive for 30 days will be removed from our system. This helps free up space within our database and keep it running efficiently. Your Personal Information: The security of your personal information is important to us. We use accepted industry standards of protecting the personal information submitted to us. When you enter sensitive information, we encrypt that information using secure socket layer technology (SSL). Regardless though, no type of transmission over the Internet, or type of electronic storage is 100% secure. Therefore, while we value any and all personal information you submit to us, and use acceptable means to protect your personal information, we cannot and do not guarantee its absolute security. Submitting Listings: To list a business in our directory, you must either be the owner, or an authorized representative of the business being listed. Submitting listings is simple and easy, just fill out the form and make sure you choose the right category for your business, as most forms will be different from each other. If you are unsure which category to place your ad into, please contact us before submitting your listing. All listings must be in English. Listing fees are paid for on an annual basis and are required to have one picture included, and up to five are allowed. No image pictures from other sites are allowed. You agree that you will upload only photos that are deemed appropriate for public viewing. All listings are monitored and must be approved, and though we do allow links to videos and websites if we deem any video or website as inappropriate we will delete it. We ask that all links be kept up to date in order to provide accurate information to those that may be interested in a listing within our directory. All broken, inaccurate, or misleading links will be removed. NOTE: All listing fees are non-refundable, and no refunds will be issued under any circumstances. We reserve the right to change our listing fees at any time and for any reason with or without prior notice. Reviews: Our site allows consumers to leave reviews on businesses and individuals that they have conducted business with. Like listings, reviews are monitored and must be approved before being posted. Please keep in mind that reviews are meant to be informative and constructive, and is not the place to rant or complain. If you have had a bad experience then leave a review that would be consider positive criticism of the business or individual with whom you had dealings with.